Yankee Service Company was founded in May of 1990 in Canterbury, CT. Now owned and operated by its 2nd generation in Windham, CT. 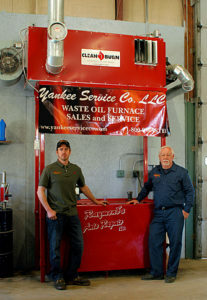 In 2016 Yankee Service Company became Connecticut’s Distributor for Clean Burn waste oil Products. Yankee Service Company deals with strictly waste oil systems. They are the only HVAC company to do so. In order to ensure a more environmentally sound and secure future, Yankee Service Company sells, installs, and services Clean Burn waste furnaces that recycle oil and save you money. Yankee Service Company has maintained a solid reputation because they are dedicated to customer satisfaction. 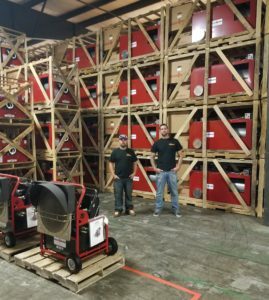 Whether you need a waste oil furnace for your commercial garage, lube center, or factory, Yankee Service will provide knowledgeable, courteous, quick, and affordable sales and service. If you are seeking a more cost effective, ecologically friendly heating system, Yankee Service Company is the only company to call.